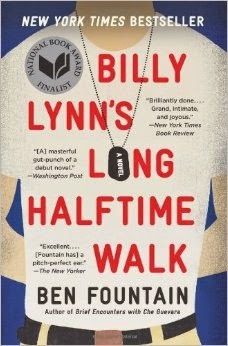 One of the most recommended books of 2013 from the podcasts I listen to was Billy Lynn's Long Halftime Walk by Ben Fountain. As the title suggests, the story takes place at a football game, a Thanksgiving Day Dallas Cowboys game shortly after the beginning of the Iraq War to be exact. Billy Lynn is one member of a squad being honored during a halftime performance by a pre-break-up Destiny's Child. The technical tour de force is that with a very minimum of flashbacks, the entire novel takes place between the arrival and the departure of Billy and his fellow squad members at the stadium. And a lot happens in between. It's almost unfair to go into all the incidents and running stories but they involve cheerleaders, Hollywood agents, greedy sports team owners, and jingoistic fans. The only complaint, and one that I was aware of because of reviews beforehand, is that Billy as a nineteen-year-old enlistee is perhaps a bit too sophisticated in his worldview. As a first person narrative, he thinks A LOT. Also, some of the irony from hindsight is just a little too pat. But the book is a great look at a rather specific time and place. Shana Miwalski is the second member of the OverthinkingIt.com website whose book I've read. John Perich has written two thrillers, reviewed here and here. Miwalski is working in a different genre, young adult historical fantasy. 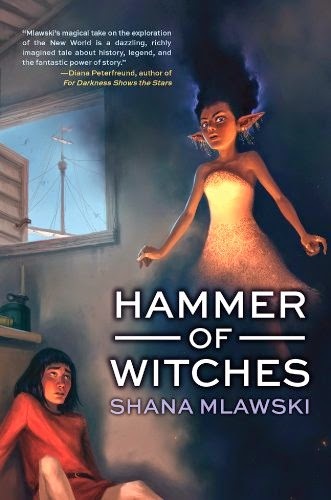 In her Hammer of Witches world, the era of Christopher Columbus has real magic which is being suppressed by an organization parallel to the never-expected Spanish Inquisition. Like Harry Potter, Baltasar Infante is a presumed orphan who is unaware of his powers and destiny until he joins an expedition to the yet unfounded New World. There he must battle multiple other magical factions. The book is strongest in Spain as young Baltasar figures out his true heritage. The story bogs down when they all reach Hispaniola and the magic starts flying fast and furious. The magic itself is clever and internally consistent but there is no real explanation of how it remains so hidden if it is so powerful and widespread. Columbus as a character is cut down the middle between the noble explorer of grade school history and the evil genocide of, say, Orson Scott Card's Pastwatch (a book I have tried multiple times to finish). By being ambiguous on Columbus, it pulls its punches a little. There are a couple of strong female characters in the book and it is a quick read but I'm not sure it really breaks new ground. 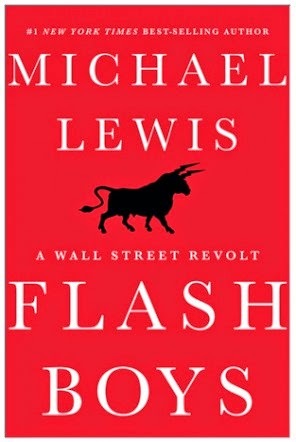 Anything by Michael Lewis is worth reading and Flash Boys is no exception. It is an exceptionally technical story about how a stock trader discovered that this orders were being front-runned by high frequency trading (HFT) programs that were using advantages measured in nanoseconds. It's a maxim that the real scandal is not always what is illegal but what is perfectly legal. And front-running is not only perfectly legal, it seems like the means to do it were deliberately baked into the system. In some ways this book is a good counterpoint to his very first book Liars' Poker in that it shows just how much the world of finance has changed in just a few decades. Rather than loud mouthed Big Swinging Dicks, the real money is made by secretive quants running obscure algorithms to make low margin high volume trades. That front-running is intrinsically unfair seems obvious but regulators and brokers seem oddly indifferent to it. The one hero is Brad Katsuyama who not only discovers how he is being sniped but sets up an exchange designed to deliberately negate the advantages the HFT programs have. The book is fairly short and often reads like a padded out magazine article which may be what it started out as. There are certain break points where the topic and point of view change. And the book should be generating more outrage than it has. 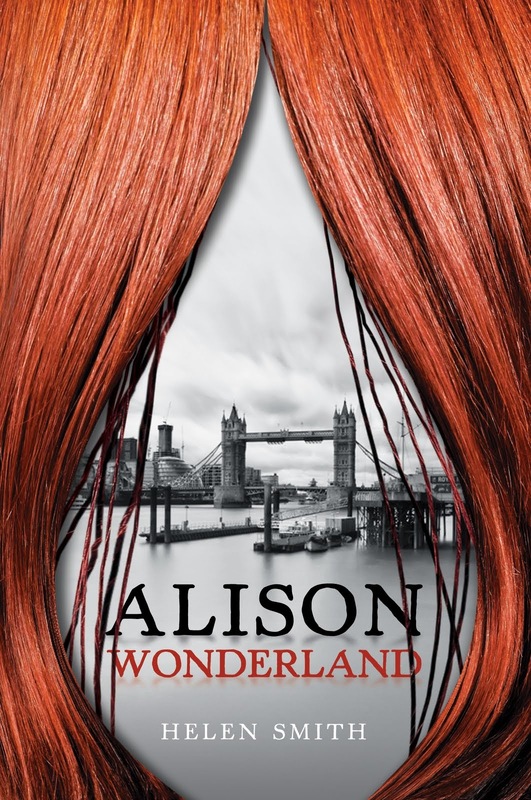 Another light fantasy is Alison Wonderland which I bought on my Kindle based on some good blurbs and a deep discount from Amazon. I am a sucker for Lewis Carroll related whimsy but this novel only had the thinnest of connections, mostly the character's name. Alternating between first person and third person segments, it tells of a woman working for an odd detective agency that gets tangled up with an incompetent secret conspiracy. Also involved are genetic experiments gone wrong, baby-snatching new age hippies, and un-whacky neighbors. The novel keeps crossing the line between absurd and merely silly. The improbable events stack up without ever really paying off. Characters drift in and out and random. And none of the story threads really tie together. I really tired to like this book but could never just get into the spirit of it. Swamplandia is another award-winning novel that came highly praised by sources I respect. But it too had some serious flaws. I love tales from southern Florida but I lean towards the Dave Barry/Carl Hiaasen absurdist branch. 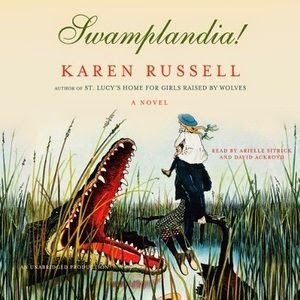 Karen Russell's variety of Florida Gothic is much more ochre-colored than the dark humor I prefer. The story takes place around a tourist attraction which is seedy and run down by even Florida standards. Swamplandia is an alligator wrestling theme park of dubious authenticity which has fallen on hard times. Our heroine, Ava Bigtree goes on a Dante-esque quest to rescue her mentally ill sister from ghosts who may or may not be hallucinations. Meanwhile her brother goes to work at a rival theme park with an equally Dante-esque motif. Like Alison Wonderland, it alternates between first person and third person segments which gives it the feel of being two separate stories mashed together. It seems that the Ava parts were expanded from an award-winning short story while the Kiwi sections are original to this novel. Part of the difficulty with the novel is the odd jargon and syntax. The Bigtrees call alligators "Seths" and what is amusing at first just becomes eventually tiresome. And the symbolism of Ava's red seth is troublesomely obvious as it is associated with a disturbingly brutal portion of the book. The humor and wry observations don't really make-up for the gut-punching darkness. Teen fiction has been dominated by dystopian fantasies like the Hunger Games series (reviewed here and here) but the hottest book of the past couple of years has been the cancer weepie The Fault In Our Stars by John Green. My entry into John Green was through his YouTube Vlog Brothers series which are quickly edited stream of conscience videos. I wasn't too sure how that frantic voice would translate into a novel length story. Very well as it turns out. The story of the novel and the forthcoming major motion picture is about a teenage girl with near-terminal (if that can be such a thing) cancer who meets a hunky cancer survivor at a support group meeting. But as one might expect, the course of true love doesn't run smooth. You just know someone's going to be crying by the end of the book, most likely the reader. Since I was listening to the audiobook it made for some tough driving in places. 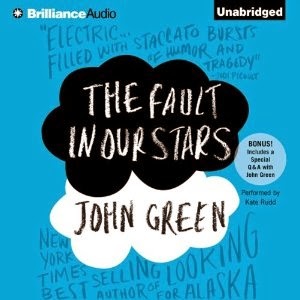 What makes the book different is the humor, which is mostly John Green's voice. Hazel and Augustus have chemistry that just leaps out. Their banter is both witty and heartwarming. One tirade about eggs being unfairly pigeonholed as a breakfast food is hilarious. The book deliberately subverts a lot of the tropes when telling stories about dying teenagers. It's reputation is well-deserved and definitely merits an audience beyond the teenaged girl vlogger audience Green has cultivated. I've been on a bit of a Dave Barry tear lately and a friend recommended a book he cowrote with Alan Zweibel called Lunatics. The titular crazy men are two soccer dads from suburban Jersey who let a refereeing dispute get way out of hand. And I mean WAAAAY out of hand. When I accused Insane City of not living up to the promise of its title, no such charge will stick with this book. Each situation the two gets more and more outrageous. The point of suspension of disbelief is reached real early in the book and every thing after that gets more and more ludicrous. The highlight of the book occurs very early and involves a Prius on the George Washington Bridge and a runaway lemur. By the time the various international incidents start occurring, the shark has been jumped. The majority of the book is told as alternating first person narratives and the two characters do have very distinct personalities. On the audiobook they are read by the two authors which adds quite a good bit of texture. Towards the end when the point of view shifts to news report parodies, it starts to lose its immediacy. A little Barry goes a long away and Lunatics goes on way too long.